PVC card printers, ribbons, ID management software, and other equipment necessary for producing ID cards in house can easily cost upwards of ten thousand dollars! For many organizations, it is much more cost effective and practical to use an ID card printing service than to manage the printing in house. 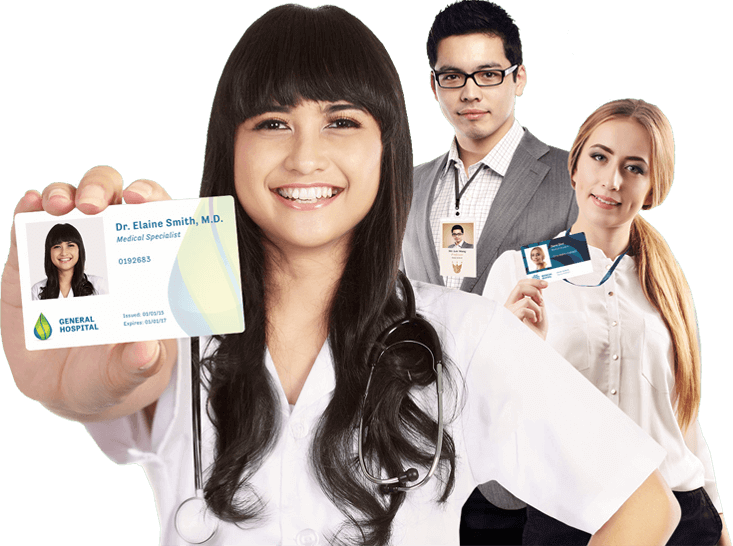 IDCreator.com is revolutionizing the way companies secure their workplace by combining the most advanced online custom ID card designer with the industry's fastest and highest quality printing service. Use the IDCreator designer to easily create a single ID card or to customize multiple photo ID badges at once. Then simply select the cards to be ordered. There are never any setup fees or order minimum order quantities! Talk about prices for non ID cards, as listed. Talk about shipping options, free domestic shipping over $50, etc.